An award winning family hotel for over 35 years, located in the bustling market town of Omagh, heart of Co. Tyrone on the footsteps of the region’s famed Sperrin Mountains and Gortin Lakes. Silverbirch Hotel & Business Centre is home to a collection of 64 bedrooms complemented by a unique combination of facilities including 10 meeting, conference and event spaces. The completion of a £4 million rebuild project (November 2016) has involved a significant upgrade and extension to the facilities available for guests. Highlights include: a larger dedicated Business Centre (6 meeting & conference rooms); new Drumragh Suite ideal for weddings, larger conferences and events (hosting up to 700 theatre style / 420 banqueting); Courtyard Bar and Terrace area perfect for more intimate events, a new foyer area, the addition of a new snug bar, Bertha’s, and Lola’s a new event hire venue, the largest of its kind in the North West with dedicated stage area, extensive dance floor, two stylish bars with capacity to host over 700 guests. As a high quality, award-winning, family hotel, Silverbirch combines the welcoming atmosphere and comforts of an established hotel, with contemporary interiors and service. Our enviable reputation for quality and professional friendly service has established Silverbirch Hotel as one of Northern Ireland’s most renowned hotels. Our central location in the heart of the North West makes us ideal base for discovering Tyrone and The Sperrins with lots to see and do nearby; highlights include some of Northern Ireland’s top visitor attractions the Ulster American Folk Park, Sperrin Mountains, Gortin Forest Park, An Creggan and Todds Leap. Silverbirch Hotel & Business Centre are dedicated to delivering only the best dining experience for guests and visitors, offering traditional Irish hospitality combined with great service. Our chef’s use only the freshest, local ingredients to create a varied Lunch and Evening Menu, which features a mix of traditional classics and modern dishes made with local produce. Guests can also enjoy Omagh’s finest traditional 4 Course Sunday Lunch. Your dining experience is complemented by a great atmosphere and live weekend entertainment, where guests can enjoy cocktails and drinks in the chic surroundings of Barreta Bar & Grill. Catch up with family and friends and indulge in our 4 course Afternoon Tea menu, which is served daily from 12 Noon – 5pm (pre booking essential). 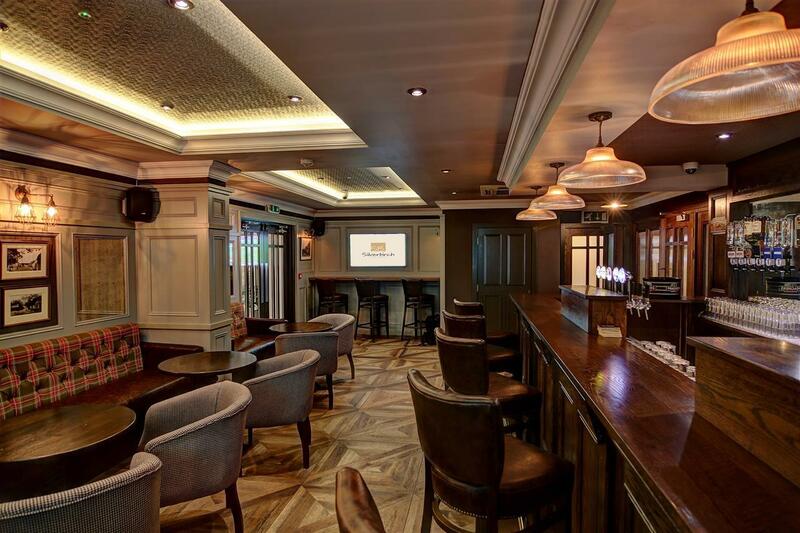 Bertha’s Bar is an exciting addition to Silverbirch Hotel & Business Centre’s facilities. Its drinks menu features a number of local craft beers and gin, which can be enjoyed in the cosy chic interiors designed in association with Audrey Gaffney Interiors, one of Ireland’s leading interior architecture and design companies. Enjoy a romantic afternoon, indulging in 4 Course Afternoon Tea, served with a glass of bubbly & selection of leaf teas. *T&C’s apply. Subject to availability. Based on 2 sharing.